What Is the Value of my Age Discrimination Lawsuit? How much is an age discrimination case worth? What payout can I expect from my case? What settlements and verdicts have resulted from age discrimination cases in the past? Who should I talk to for more information on age discrimination settlement amounts? In the following sections, you will find the answers to the questions mentioned above. Although you should find the sections below informative, you should not use the information in the place of a consultation with an attorney experienced in age discrimination cases. Only an expert attorney will be able to offer you relevant information that pertains specifically to your case. You must contact California Labor Law Employment Attorneys Group as soon as possible to speak with a skilled attorney that can evaluate your case and give you all the information you need before you file a lawsuit. Our attorneys have the expertise necessary to tell you how much is the value of your case and how much is the amount you can receive after filing your lawsuit. What compensation is available for age discrimination cases? Like all other claims, claims for age discrimination in the workplace vary in the amount of compensation a plaintiff might receive. Depending on the specific circumstances of a plaintiff’s case, he or she might receive all or just a part of the compensation typical for age discrimination cases. Below, you will find a breakdown of the types of compensation available for age discrimination lawsuits. Lost wages—if the age discrimination a plaintiff suffered lead to him or her losing wages, he or she will likely be compensated for any lost wages. If you were not being scheduled for work because of your age, or if other employees were chosen to work because they were younger, you might be eligible to receive compensation for the wages you lost. Additionally, if the discrimination resulted in termination or forced you to quit, you might also be eligible for compensation. Depending on whether you were left unemployed, you might be eligible to receive compensation for the time you were out of work, or until you found a new job or were reinstated in your previous position. Lost benefits—if the age discrimination prevented a plaintiff from receiving benefits from his or her workplace, the plaintiff might be eligible to receive compensation. Compensation might include out-of-pocket costs of health insurance, pay increase because of a promotion, pay decrease because of a demotion, lost bonuses, and lost commissions. Mental and emotional distress—if the age discrimination left the plaintiff dealing with mental and emotional distress, he or she might be eligible to receive compensation. To receive compensation for mental and emotional distress, a plaintiff likely will have to be evaluated by a professional. Punitive damages—if the age discrimination can be proved to have been intentional from the employer, punitive damages will likely be awarded. Punitive damages are designed to punish the employer and to try to prevent the incident from reoccurring. As you can see above, there are a few types of compensation that a victim of age discrimination in the workplace might be eligible to receive. For more information on the specific compensation that you might be eligible to receive, you must contact an attorney at California Labor Law Employment Attorneys Group. $18.3 million—six plaintiffs filed a lawsuit against a company that was trying to make older employers want to quit. $16 million—a 64-year old employee was terminated so that the employer could hire younger employees. $3.1 victim—the employee experienced discrimination based on age in the workplace. $26 million—a 66-year-old store employee was a victim of discriminated and harassed by his managers because of his age. $600,000—a city employee was forced into retirement after she was removed from her position. When the plaintiff attempted to find another position, the position was given to someone younger and regardless of the plaintiff’s seniority status. As you can see, the settlements and verdicts of each of the cases listed above vary. Because of that, it might be difficult to place a value on your case based on these examples. If you were wrongfully fired because of your age or if your age caused you to miss opportunities at work, the value of your case will be different. Since the specific details of your case have such an effect on the value of your case, it is vital that you speak to an experienced attorney as soon as possible. The attorney will evaluate your case and will give you an estimated case value. California Labor Law Employment Attorneys Group is a law firm dedicated to helping the victims of age discrimination in the workplace fight for their rights. 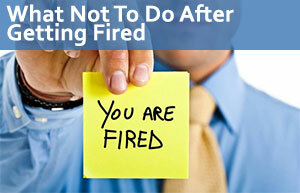 Regrettably, many employers take advantage and mistreat their employees. You should not allow yourself to be mistreated any longer. You should immediately contact California Labor Law Employment Attorneys Group to get your legal process started. If you want to find out more about the value of an age discrimination case or about how much you can expect out of your lawsuit, you must speak with an experienced age discrimination attorney at California Labor Law Employment Attorneys Group. Our attorneys will give you all the information you need—it does not matter if the age discrimination resulted in your employer illegally firing you or you losing wages. California Labor Law Employment Attorneys Group guarantees that you will always get all the answers you need. Our legal staff understands the stress associated with being discriminated against based on age in the workplace. We also acknowledge that you might want to know more about the value of a case before deciding to file a lawsuit. Because of this, California Labor Law Employment Attorneys Group will always make our legal services as accessible as possible. Many people worry about having to pay expensive fees to consult with attorneys—we guarantee that you will never have to worry about that if you contact California Labor Law Employment Attorneys Group. Our law firm offers free consultations and free second opinions to allow all victims of age discrimination to come forward and get the necessary information. During your free consultation, we guarantee that our attorneys will answer all of your questions and address all of your concerns about the average value of your case. Also, our attorneys will offer other helpful information to get you started on your way towards your lawsuit. If you already have an attorney with another law firm, you might still be interested contacting California Labor Law Employment Attorneys Group for a free second opinion. You should immediately reflect on your experience with your current attorney. Did you feel that your attorney was rushing you at any point during your consultation? Did your attorney leave you with many unanswered questions? Have you had to look for additional information independently? Unfortunately, many attorneys prioritize the number of cases or clients they can see in a day over the quality of the service they provide. Many attorneys rush through cases and consultations and quickly move on to the next item on their schedule. Because of this, they often overlook or neglect important pieces of information that can affect the outcome of a lawsuit. If you think your attorney left out important information, you should immediately seek a second opinion to get the information that you are missing. We guarantee that our attorneys will always take as much time as necessary to ensure that every angle of your case has been covered and you receive all the information related to your case. You must contact California Labor Law Employment Attorneys Group as soon as possible to get your lawsuit back on the right track. At your earliest convenience, you should contact California Labor Law Employment Attorneys Group to schedule a free second opinion or a free consultation. Our law firm has handled many employee age discrimination cases, so we understand the worries you have when you consider taking legal action. California Labor Law Employment Attorneys Group offers all clients a Zero-Fee guarantee that ensures that clients will never have to worry about having to pay any upfront fees for our legal services. Additionally, our law firm is strictly based on contingency, so clients will not have pay anything until our age discrimination attorneys win their lawsuits against employers. You must contact California Labor Law Employment Attorneys Group as soon as possible.